Wrapping machine Nagema,etc. in Germany for group packaging of tablets of 10pcs.in double torsion, askorbinka, and so on. Wrapping machine Nagema,etc. in Germany for group packaging of tablets of 10pcs.double torsion, askorbinka, and so on. Wrapping machine Nagema,etc. in Germany for the group packing in double torsion tablets with a diameter of 20 mm. and so on. size can be changed on request. Package "Askorbinki" ascorbic acid and so on. The capacity of 100 packs per minute. Packaging 10 tablets are in a group in paper or film. Material labels - waxed paper, laminated film on the outside, or without film. The machine consists of two units - the first unit for filling of tablets with brush the mechanism which distributes tablets in a special chute. Further pills to the guide rails 10 pieces fall into the second block. 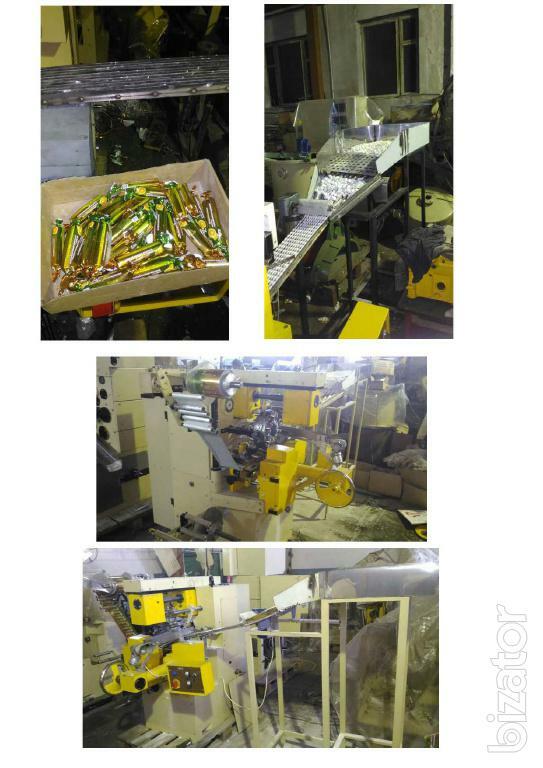 The second block – wrapping machine, tablets are automatically placed in the node of the turret where to occur the folding of the group packing in a two-way torsion. 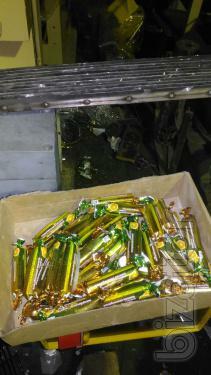 After packing the finished products automatically on the conveyor falls into the box and TD. Equipment after the cap. repair with warranty to adjustment under the candy of the customer. Without payment,payment after trial starting the machine on the customer's product. 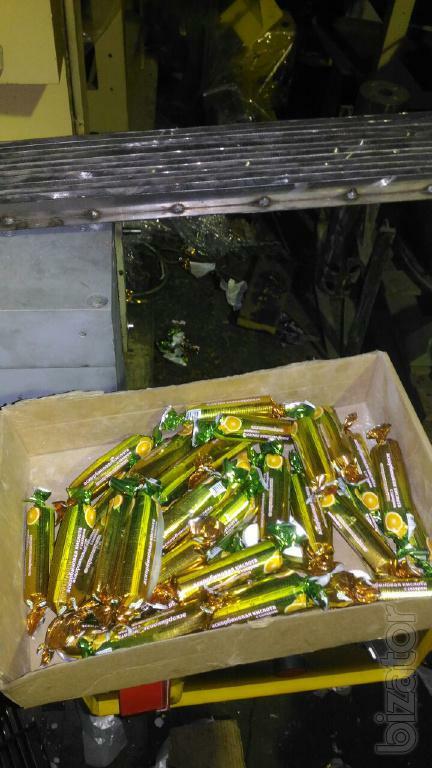 Sell the same Wrapping machine NAGEMA ST1,EU3, EU4,EU8, EU5,EU7,EL9, EL3,EL5,EL2, EL11,EF1, EF2, EF4,LA1,LA2,ED10 for all kinds of candy in unilateral ,bilateral torsion in a sock ,an envelope ,a sachet ,slinky, etc.,ladybug , jelly beans, marshmallow, jelly, fondant ,caramel, toffee ,waffle varieties, truffle ,Chupa Chups ,meats ,eggs chocolate ,chocolate tiles and so on. ,wafer equipment ,stoves, gas and electrical, pasted cutting machine and so on.,tempering machines etc. Perform thorough repairs on any of your machines with warranty up to 6 months. Establish and remake machine for your product ,dragee ,hard candy, fondant, waffle, souffle, and so on. Put equipment under your order. On our site you can see the equipment that you are interested in, on the website there are always new arrivals equipment. The price is negotiable. So buy any wrapping machine, and so on. Please send application to the email address.